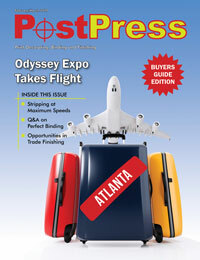 The Sayville, New York-based Sustainable Green Printing Partnership (SGP) is pleased to announce thousands of dollars in cost savings and more than 35 tons of recycling achieved as a result of new partnerships and innovations at certified facility Designtex, based in New York, New York. 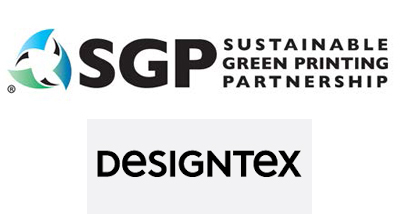 As part of its decade-long SGP certification, Designtex engages in yearly continuous improvement projects to increase the effectiveness of its sustainability program. In 2017, the organization pledged to eliminate all waste from its production facilities. As a result of its recycling initiatives, Designtex saw a tremendous reduction in waste and earned tangible profits from recycling every month in 2018. Packaging waste: Designtex now gets paid to return hybrid packaging materials to its vendor for reuse. High Density Polyethylene (HDPE) waste: One of Designtex’s vendors pays for the return of not only their own HDPE waste but all HDPE waste generated by the facility. Low Density Polyethylene (LDPE) waste: LDPE waste is delivered to a composite decking manufacturer as part of a joint program with other companies generating LDPE waste. Organic waste: A local composting company composts all organic waste from the facility for reuse as soil in the employee garden. SGP certification helps printers stay profitable on the cutting edge of the industry by focusing not only on the current sustainable practices employed by a facility but also on its continuous improvement. As a result of these best practices, the average certified facility saves $43,000 a year. To learn more about how SGP certification can help turn sustainability into profit, contact the Sustainable Green Printing Partnership at info@sgppartnership.org or visit www.sgppartnership.org.